Editor’s note: This article is the first of a four part series highlighting Black and neurodivergent leaders and historical figures, in honor Black History Month. Each leader was selected by Finn Gardiner, a contemporary Black and Autistic leader and scholar. Harriet Tubman is widely known as a brave Black woman who led herself and hundreds of other slaves to freedom through the loose network of safe houses known as the Underground Railroad. What is less known, however, is that Tubman was also disabled and neurodivergent. Born Araminta Ross, Tubman was born on a relatively small plantation at the beginning of the 19th century. Tubman took her husband’s surname upon marriage and changed her first name to Harriet around the same time. From the age of five, Tubman was forced to perform strenuous tasks for other slaveholding households, including looking after other families’ children, trapping muskrats, and other work that would be stressful for a full-grown adult to do, let alone a small child. If she failed at any of these tasks, she was whipped severely, leaving permanent scars. In her adolescence, Tubman experienced a severe head injury that caused her to have random sleeping spells, seizures, and religiously themed dreams she did not have before her accident. She had developed this injury after she attempted to defend a fugitive slave from being recaptured. The overseer trying to take this slave back to the plantation threw a weight from a store counter, intending it to hit the slave, but it ended up hitting Tubman. It is this head injury and the resulting conditions she developed that have led many modern disability activists, including me, to consider her disabled and neurodivergent. 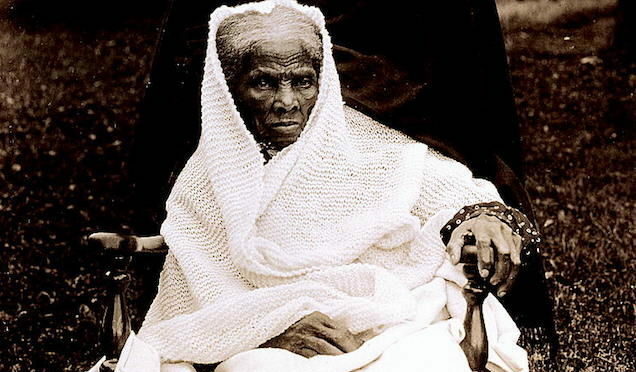 Despite the oppressive conditions in which Tubman was brought up, she grew up to become a brave, intelligent and strong-willed woman dedicated to securing her own, and others’, freedom. In her mid-twenties, Tubman left her husband, John, to seek freedom in Philadelphia. John, a free Black man, had repeatedly discouraged Harriet from leaving Maryland, threatening to report her to her master. Undaunted, Harriet left anyway. After arriving in Philadelphia, Tubman connected with free Black activists and White abolitionists whose goal was to transport as many slaves as possible to freedom in northern US states or Canada. This network, called the Underground Railroad, operated for several years before slaves were officially freed after the US Civil War. Over the course of ten years, Tubman served as a “conductor” on the Underground Railroad, operating in secret to ensure that she and the escaped slaves she brought to freedom could avoid being sent back to their masters’ plantations. After the war, Tubman’s service came to light and garnered her respect among Black people and White abolitionists. After ending her duties as an Underground Railroad conductor in 1860, Tubman remained dedicated to public service: she became a Union Army nurse after the outbreak of the Civil War, advocated for women’s rights, and operated a home for elderly and poor people in Auburn, New York. When we consider Harriet Tubman’s memory, we must not forget her disability. It is important for disability activists to The Harriet Tubman Collective, a group of Black disability activists, is devoted to maintaining her legacy as a Black disabled leader.